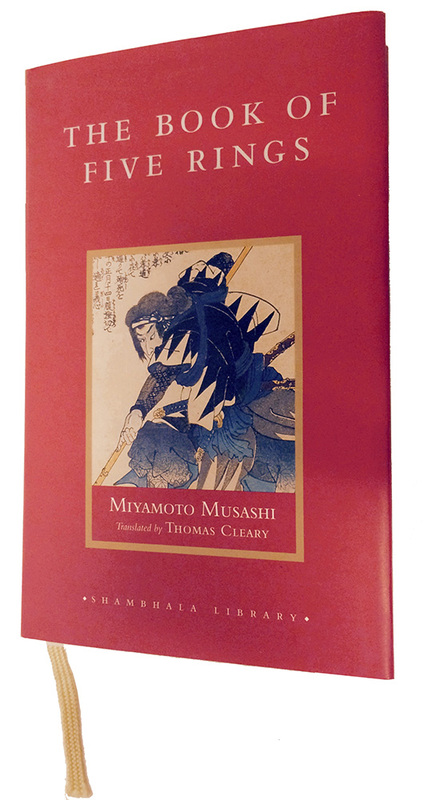 Miyamoto Musashi (1584-1645) was a swordsman, a masterless samurai, and an independent teacher. He won his first duel at age 13. By the time he was 29, he had dueled more than 60 times. He never lost. In new product development contexts, it is more common to use the word competition than opponent. In new product development, discussions about competition usually evoke thoughts of external struggles between organizations to complete projects and capture market share. During new product development, competition also exists internally. Typically, internal competition discussions include topics such as negotiations about the schedule and project resources such as headcount and equipment budgets. There are more subtle aspects of internal competition. During new product development, engaging skilled and experienced practitioners can address Musashi’s rules 1-4. Involving wise practitioners can address rules 5-8. Rule 9 is more subtle. Familiar practices and past successes may make it difficult to detect what is useless. Success in new product development depends on your ability to determine the relative usefulness or uselessness of all potential efforts. For a simple exercise, consider your next scheduled meeting. A decision to have a meeting creates internal competition for attention. What might be done to improve the usefulness of the meeting? Will the agenda be available before the meeting? Is there a prominent objective? Are there new documents that must to be reviewed before the meeting? Will the completion of action items be verified? Will the duration of the meeting be less than one hour? Will meeting notes be created interactively during the meeting? Can remote contributors participate in the meeting? Can these needs be fulfilled more effectively by other means? For a more complex exercise, consider how an individual contributor (a coder, engineer, scientist, communications specialist, subject matter expert,…) validates that their contributions provide value to the project. Besides completing a task (such as writing code to implement specific functionality), how will you determine if the effort was valuable? Was there a better use of the time? How will the effort be validated in terms of project success? For a more substantial exercise, consider how an individual’s efforts contribute to improving their development experience factors such as autonomy, mastery, and purpose. Musashi’s advice was “Do not do anything useless.” This is a practical project objective and a desirable career strategy. Developing this perspective requires substantial effort and it produces significant rewards. When efforts are not wasted on the useless, individuals can develop better perspectives to win as they evolve their focus and direction throughout projects. The Book of Five Rings by Miyamoto Musashi. Translated by Thomas Cleary. Shambhala, Boston and London. Copyright 1993. The “Helping Gnomes that Code” post included descriptions of Requisite Variety, Pair Development, Disintermediation, and Recursion approaches to improve development options. These also apply to minimizing the potential to do anything useless.